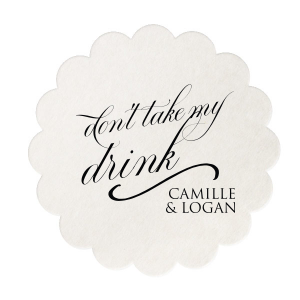 Custom scallop coasters from ForYourParty.com are perfect for any special occasion. 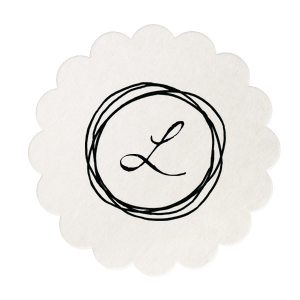 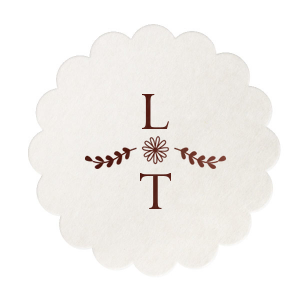 Our decorative scallop coasters are reminiscent of a lace doily and just as elegant. 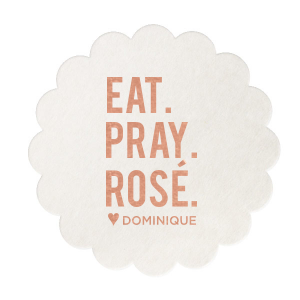 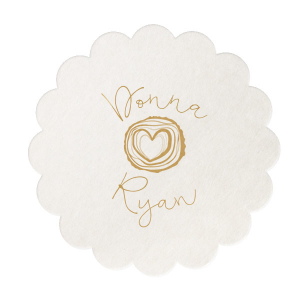 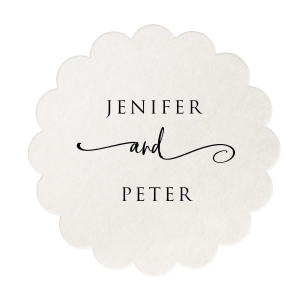 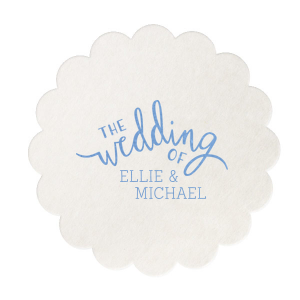 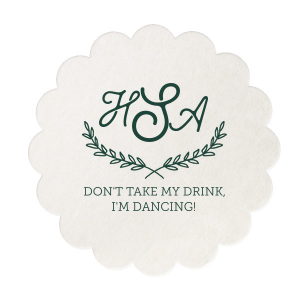 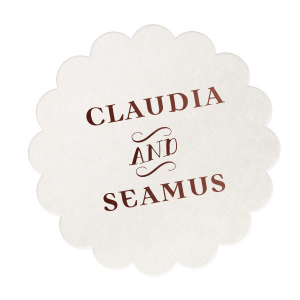 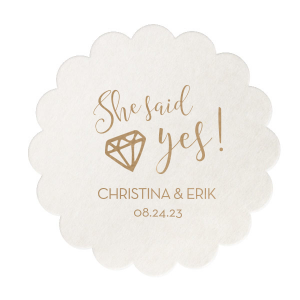 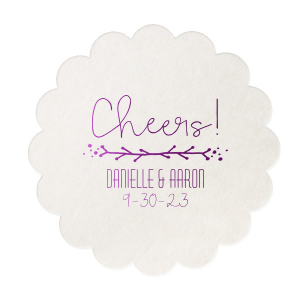 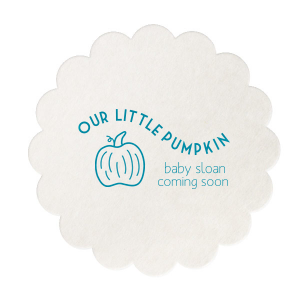 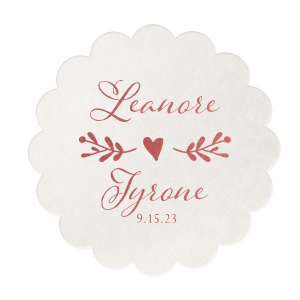 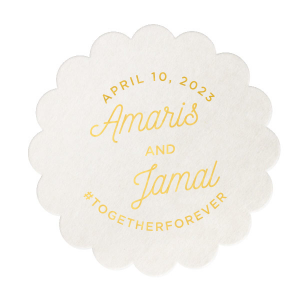 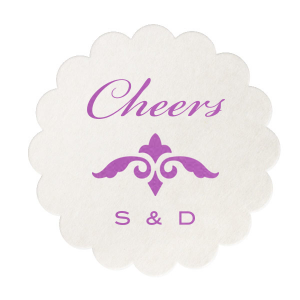 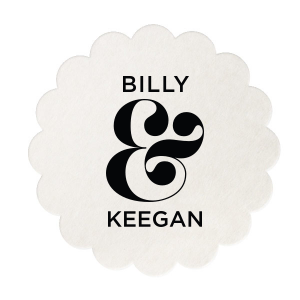 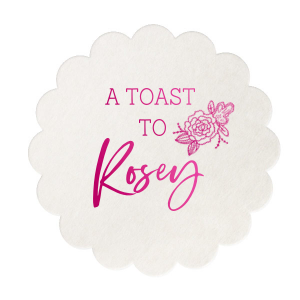 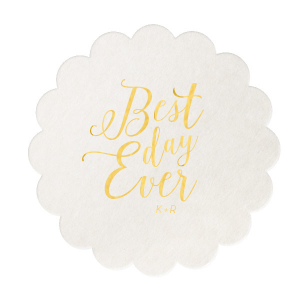 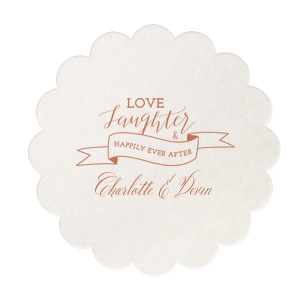 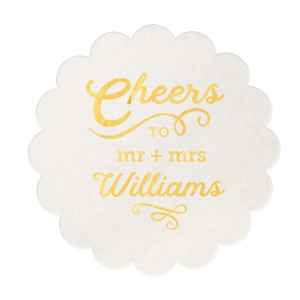 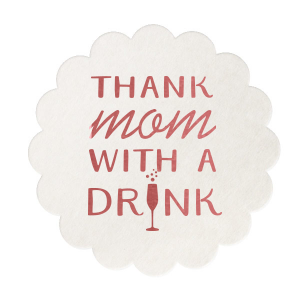 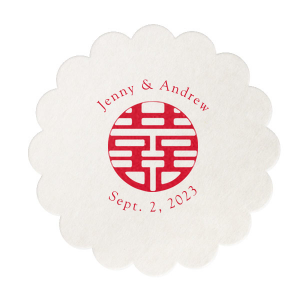 Add a unique, intimate touch to your scallop coasters today with our easy-to-use online customization application.